I had to start my playlist with the man who some call the King of Christmas. This song was from his first of eight Christmas albums and is definitely one of my favorites. I also had the pleasure of performing weekly in Andy Williams’ Moon River Theater in 2012, where this song is always played at Christmas time. Does this one need an introduction? Nat King Cole recorded this one a total of four times. This track is the last one he recorded and is known to be the most definitive, recorded in 1961 with full orchestra in stereophonic sound. 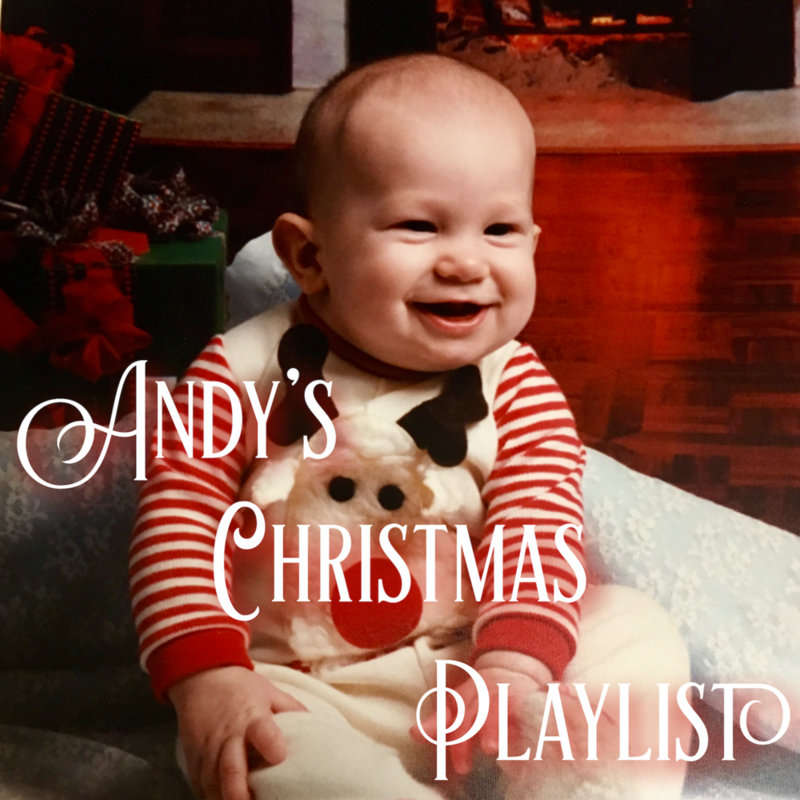 No Christmas playlist would be complete without a number from the iconic album, “A Charlie Brown Christmas.” I imagine you’ll be seeing a few songs from Vince Guaraldi in these playlists. I really love the harmonic sophistication in the Carpenters writing. Their album Christmas Portrait got played every Christmas when I was growing up. And who doesn’t like to listen to Karen Carpenter? Her voice is like butter. Being a lover of vocal jazz, I wanted to include a track from The Singers Unlimited, a game-changing group, singing the huge, multi-tracked arrangements of Gene Puerling. The Carpenters’ harmonies are great, but they can hardly compare to this track. Originally written for the Swingle Singers, this incredible jazz-influenced arrangement by Jonathan Rathbone is stunningly beautiful and full of raw emotion. Brian included this piece in his playlist as well and I had to as well because it’s simply that good. It is my favorite piece of this year’s A Chanticleer Christmas program. This song, like all of these, has been covered a multitude of times by other contemporary artists. I've included the original in my playlist by Donny Hathaway. This one is a guilty pleasure. I'm not the biggest fan of *NSYNC, but maybe bigger than I'd like to admit. I just enjoy this arrangement and how none of it sounds overly-produced and pitch corrected. I've also had the opportunity to perform it. The Real Group is a five-member Swedish a cappella group that formed in 1984 by music students from the Royal Academy of Music in Stockholm. Since then, they’ve gained an international audience and have received notoriety for their unique sound. Personally, I think they’re one of the most talented vocal groups of the past three decades. Here’s another one I remember listening to when it came out. With a New Orleans street-beat as its core, Harry Connick Jr.’s Louisiana inspiration really shines through in this track. Pentatonix exploded on to the pop a cappella music scene in 2011 after coming in first place on the 3rd season of NBC’s The Sing-Off. They are mostly known for their electronic dance music inspired a cappella tracks, but I’ve chosen to include one of their most acoustic and honest offerings and the only original song from the double-platinum album of the same name. I had to include Franz Biebl’s “Ave Maria” in my playlist. The piece has become an institution for Chanticleer and is performed every year. It’s very rewarding to sing a piece that moves the audience as much as this one does.